We are one of the popular suppliers, traders and importers of Linen Fabric that is vastly used for making table coverings, bed coverings and clothing. Owing to the smoothness, natural luster, strong durability and skin friendliness, the proposed batch of fabric is widely demanded in the market. 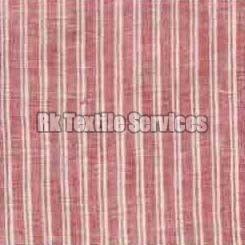 This fabric is provided in multiple designs, patterns, colors and finishing.